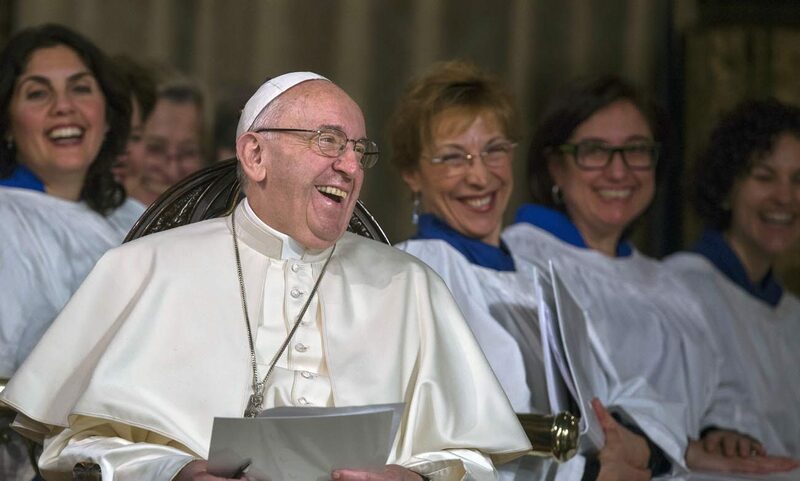 VATICAN CITY (CNS) — Joy is the sign of a true Christian who has embarked on a path of giving generously to those in need, even when enduring suffering and persecution, Pope Francis said. Christians are called to “enter into another way of thinking, another way of acting” exemplified by Jesus who “gave everything of himself because fullness — the fullness of God — is a fullness poured out on the cross,” the pope said Feb. 28 during morning Mass at Domus Sanctae Marthae. “This is the style of the Christian: to seek this fullness, to receive this fullness that has been poured out and to follow along that path. It isn’t easy,” he said. The pope reflected on the day’s Gospel reading, which recounts Jesus’ assurance to Peter and the disciples of their reward after they witnessed a rich young man leaving sadly after choosing riches over following Christ. While he assures his disciples that those who have given up everything for the sake of the Gospel will be rewarded a hundredfold, the pope noted, Jesus also says that those who follow him will endure persecution. “The sign that we are following this path of everything and nothing, of fullness poured out, is joy,” the pope said. “When he was at that point — destroyed on the cross — he would say: ‘Contento, Senor, contento’ (‘Happy, Lord, happy’). May he teach us to go on this path, may he give us the grace of following this path, which is a bit difficult, of everything and nothing, of the fullness of Jesus Christ poured out and to always say, above all in difficulty: ‘Happy, Lord, happy,'” the pope said.